A hydrogen technology and eco development group focusing on the manufacture, distribution and deployment of clean fuel and power delivery solutions for industries, communities and the energy intensive sectors. 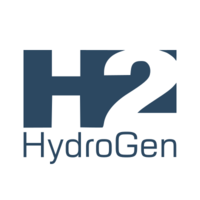 HydroGen Incorporates Hydrogen Eco, H2 World and our Joint Ventures. We utilize a collaborative innovation and eco development strategy to bring together the partners and expertise to integrate reliable, proven technologies and systems, whilst establishing the synergies to commercialize, market and distribute new.